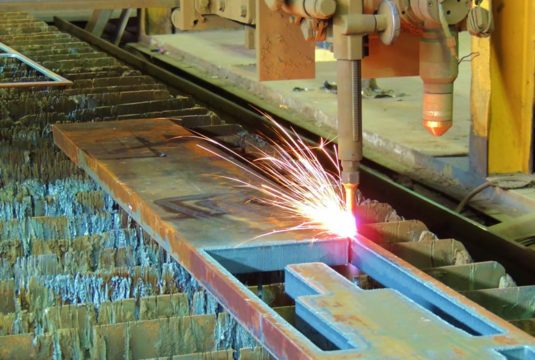 Our CNC oxy-fuel burning technology is a process that allows thicker material to be cut when compared to laser or plasma cutting. We can process material up to 13” thick. Our oxy-fuel cutting table is over 30’ in length and 10’ in width.